Situated in the Caribbean Sea, 12 miles off the eastern coast of Mexico is the small island of Cozumel. It is just 30 miles long and about 10 miles wide; yet, it is home to some of nature’s most coveted treasures. 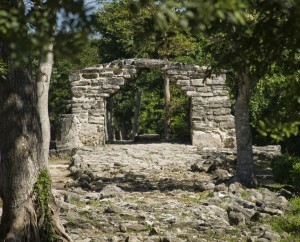 Known as the Island of the Swallows to the Mayans, the island’s has enough attractions for everyone. Crystal waters and soft sand beaches are protected by one of the world’s largest (and renowned for diving) coral reefs. In the middle you will find undisturbed jungle, dry arid flatlands and swampy lagoons. San Miguel is the main town and home to the majority of the residents of the island as well as the daily home of dozens of cruise ships who call on the island. 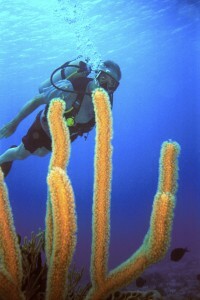 Water is a key theme for any visit to Cozumel. From scuba diving, snorkeling, parasailing, kite-surfing and deep-sea fishing, you will find it all. Cozumel is home to a number of indigenous species of birds, mammals and marine life. If diving and the beach are not your thing, you can explore the Mayan ruins, trek through the jungle paths and even take a dip in the cenotes—the island’s underground rivers and pools. And of course, no island seems complete without manicured lawns and little holes—there is an 18-hole golf course set amid the jungle. Reaching Cozumel is relatively easy. Cozumel international Airport (CZM) receives direct flights from many US cities and Toronto, in addition to regional flights from Mexico City. Another option is to land at Cancún International Airport (CUN) and fly to Cozumel, or travel by bus or van to Playa del Carmen and transfer to Cozumel by ferry. The airport lies within easy reach of points all over the island and an efficient taxi service gets you around on land and provides quick access to the airport from any Cozumel hotel. Most of the hotels in Cozumel are located along its western coast and range from cheap hotels to the luxury resorts, including all-inclusive resorts as well as those with European or Modified American dining plans. Beach hotels on the southwestern coast provide easy access to some well-known reefs, while hotels in the northwestern end are in close proximity to the golf course. The hotels in the center of the western coast are conveniently close to the port and town. 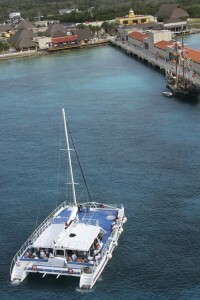 Cozumel, the island regarded as the top cruise destination in the world. The port of Cozumel is estimated to receive about two million visitors annually, keeping its three piers busy throughout the year. Cozumel’s climate is tropical and, though there are rainy and dry seasons, occasional rainfall throughout the year is usual. Hot and humid, without much difference between the seasons, Cozumel is one of the world’s top tourist destinations year round. How timely!! We pulled into Cozumel bright and early this morning and even with Hurricane Tomas whirling away somewhere in the Caribbean, the weather here today is absolutely BEAUTIFUL!! !